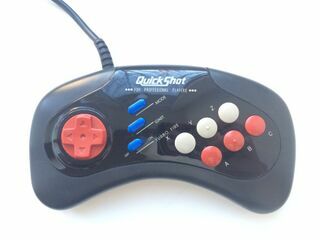 The Starfighter 3+3 is a third-party Sega Mega Drive controller manufactured by QuickShot. It is part of their Starfighter series of controllers, and a six button replacement for the Starfighter 3. As the name suggests, it adds the and buttons missing in the Starfighter 3, and adds turbo features to them.